Do you take part in any travel rewards programs (such as frequent flier or hotel rewards)? This statistic shows the share of travelers who took part in travel rewards programs in the United States as of June 2014. 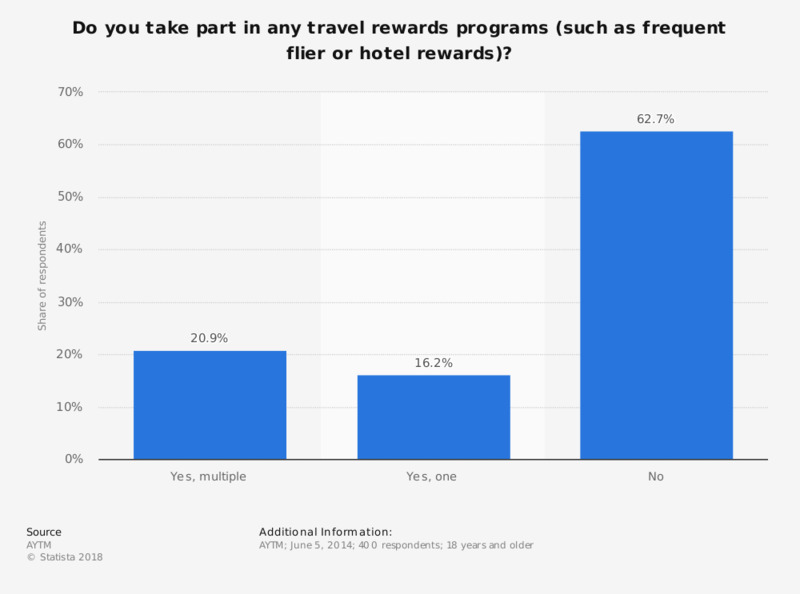 During the survey, 16.2 percent of respondents said they took part on one travel rewards program. What travel methods have you used in the last year? Do you find the cost of lodging to be reasonable? Would you ever consider using a home rentals service like Airbnb to find lodging deals? Which type of vacation accommodation have you booked over the past 12 months? Which of these statements do you personally agree with?